Beautiful course overlooking Lake Casitas. Rugged and demanding. Plenty of tight shots and elevation. Camping at course year round (sections M and I). $10/day use fee. From LA; 101 Fwy north to the 33 Fwy towards Ojai. Take the Casitas Vista Rd. exit - wrap around to the right and under the fwy and go 0.5 mile to a right on Santa Ana Rd., 6 miles to Lake entrance on left. Worth the entrance fee. Great elevation changes. One of my favorites in California. I found this course challenging and exciting. Every new hole had a unique personality that sometimes made me express out loud "holy [email protected]!" I played with family and had one good day and one not so good. Over all I would rate this course as a 5. Go on a weekday. Weekends cost $15 per car. I give it a 5 and agree, best course in SoCal I have played. Incredible views of lake and mountains. Great course. Probably the best course in So Cal. Elevation, length and challenge. Beautiful area next to Lake Casitas (fishing and boating but no swimming). Course adjacent camping. Costs $15 per vehicle for day use now - so you might as well grab a camp site and do it right. Why not a 5 rating? 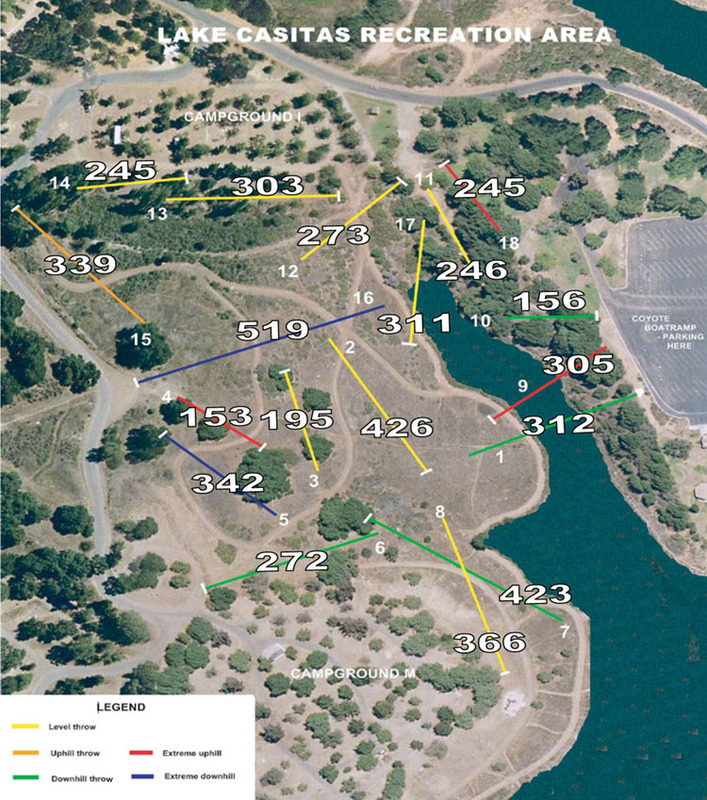 They have 5's in disc golf heaven - this may be it for you.